Product categories of 0.6L Food Choppers, we are specialized manufacturers from China, 0.6L Food Choppers, 0.6L Electric Food Chopper suppliers/factory, wholesale high-quality products of Hand Blender With Chopper R & D and manufacturing, we have the perfect after-sales service and technical support. Look forward to your cooperation! Our Food Choppers have 0.6L, 1.2L and 1.8L three capacities. 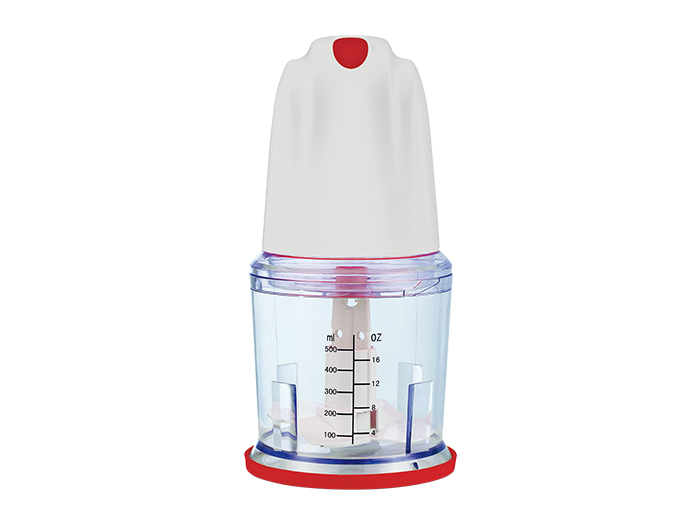 0.6L food choppers are a mini size, which is very suitable for chopping vegetables and herbs.